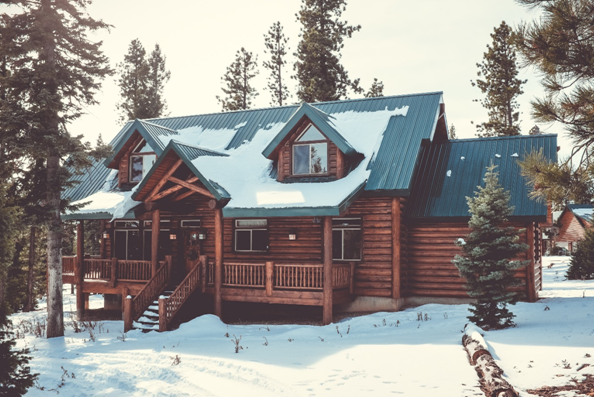 It is finally officially here- spring! 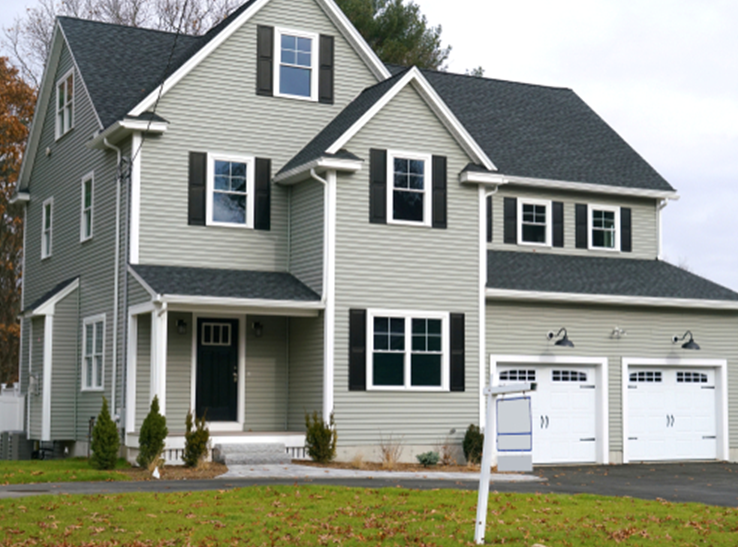 After a long and dreary winter, the flowers are blooming, the birds are chirping, and the sun is shining! 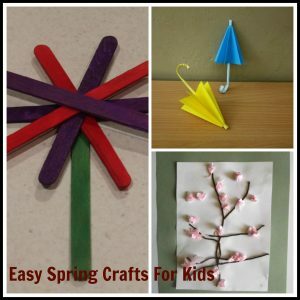 This year, put a spring in your step with some DIY spring crafts using mason jars! 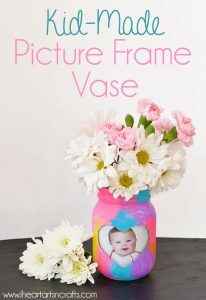 Kid-Made Picture Frame Vase– from I Heart Arts ‘N Crafts- This cute mason jar craft can make the perfect Mother’s Day for grandma. Easy Mason Jar Terrariums– from Oh My Creative- A mason jar, some pebbles, green and small figurines are all you’ll need for this cute spring craft. DIY Mason Jar Fairy House– from The Country Chic Cottage- How absolutely cute is this mason jar fairy house? Spring Inspired Striped Pastel Mason Jars– from The Crafted Sparrow- These spring mason jars can be painted, with chalky finish paints, in pastel colors. 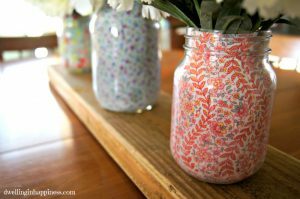 Floral Fabric Spring Mason Jar Vases– from Dwelling in Happiness- These adorable mason jar vases, made using floral fabrics, will look great on any shelf, table or windowsill. DIY Mason Jar Herb Garden– from One Good Thing- Mason jars, potting soil and seeds are all it takes to grow your own herbs at home. DIY Mason Jar Bird Feeder– from Little Things- When the warmer weather appears, the birds will also make their appearance. With a mason jar, some bird seeds and some twine, you can make this bird feeder to hang in the backyard. 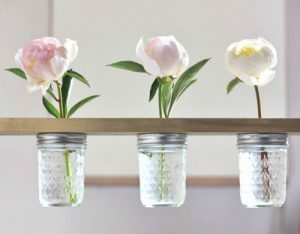 How to Make a Mason Jar Flower Shelf– from Shelterness- How cute and spring-like is this wooden shelf with mason jar vases? How to Make Mason Jar Citronella Candles– from One Little Project- You know how cinnamon works great for repelling ants, right? 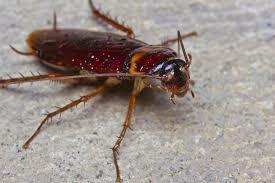 Well, the same holds true for citronella and mosquitoes. Rainbow Fruit Mason Jar Craft– from Color Made Happy- Kids and adults alike will enjoy crafting these colorful fruit mason jars! 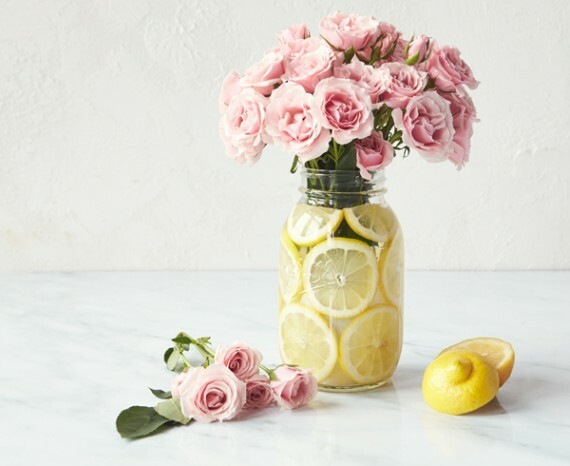 DIY Project: A Mason Jar, Lemon & Flower Centerpiece– from Rue Now- This mason jar craft will look great on a kitchen table or dining room table this spring!